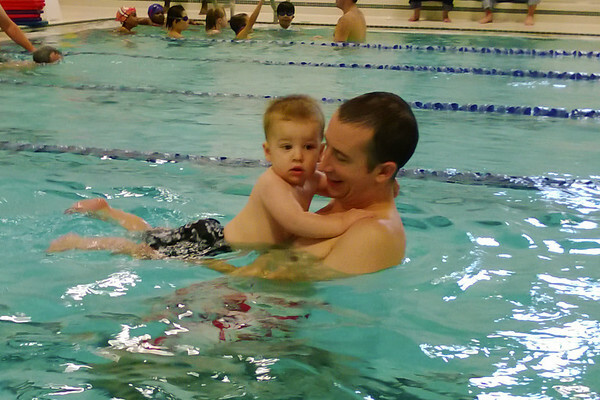 Cooper and Daddy are enjoying their first swim lesson together at the local YMCA. They are in a 30 minute parent/toddler class every Saturday morning and both are loving it. Cooper is picking up on the paddling, kicking and even blowing bubbles. Apparently he is not a fan of walking on the mat that they float on the water. He has already been able to apply the skills he learned to climb out of the pool at home. He can now climb onto our chairs and couches on his own.